Great for the traveler or the dorm room student. The Egg Scrambler is a must have for breakfast on the go. Cooks in the microwave in 30 seconds. Add Cheese and your favorite breakfast meat for an omelet. Washes in the automatic dishwasher. 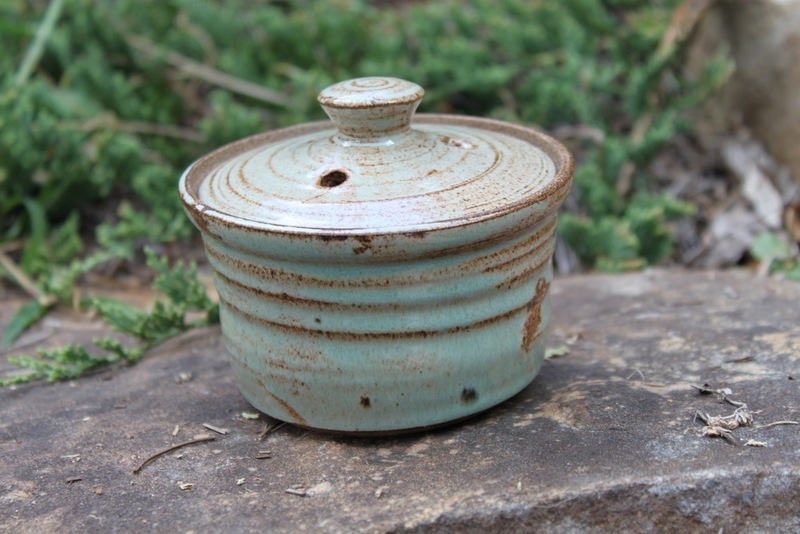 Durable stoneware is hand turned and high fire glaze never scratches. Measures about 3 inches across and about 3 inches tall. Cooks one egg at a time. You can scramble, cook then eat all from the Egg Scrambler, pictured here in Lucy glaze pattern. Makes a great gift.